Ideal for lip balms and products that do not contain water. We do not recommend using this container for bath or skincare products that contain water. Water will cause this product to rust. COMMENTS: These are just the look I wanted. My lip balm is not fancy and I wanted a durable and useful look! COMMENTS: Used for lip balm and Neem oil salve. Perfect size. Worked great. COMMENTS: I love these....thank you WSP! "Perfect Size for our lip balms"
COMMENTS: We wanted to make gift sets and these were the perfect touch for the 'not your typical lip balms' look we were going for. COMMENTS: a perfect size for solid perfumes and colognes. 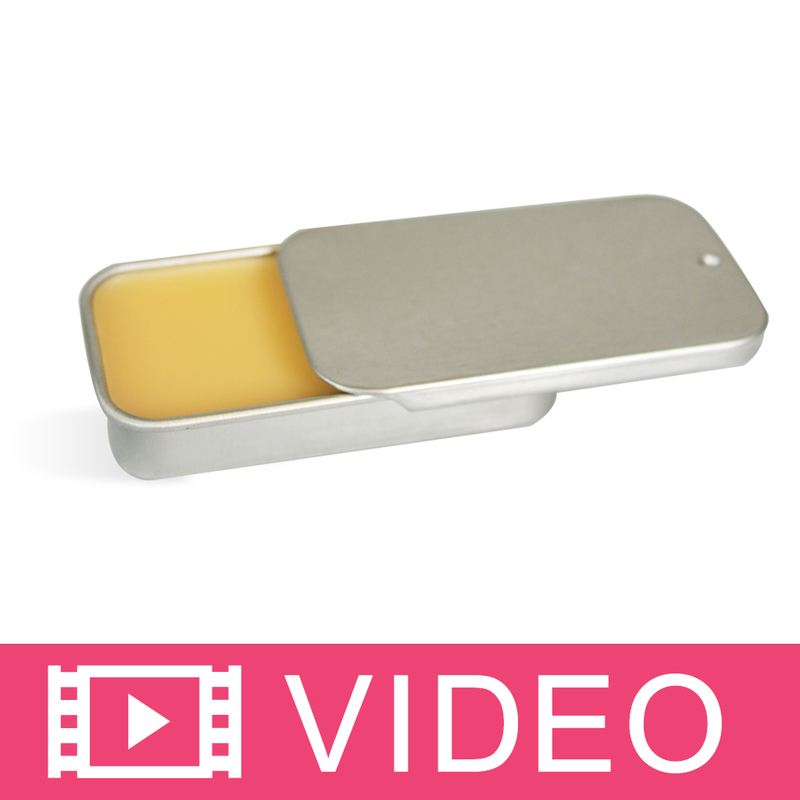 COMMENTS: great tin for lip balms if you dont like plastic, these click together really well. COMMENTS: Love these lil things. I use them for Lip Balm and solid perfumes. COMMENTS: These little cuties are the bomb! Holds the perfect amount of lip butter, closes up tight and they're just like the lip tins we could purchase lip balm in when I was a young girl and vintage is right up my alley...love them! COMMENTS: love the old time look of this tins. It reminded me of being in high school 30 years ago. They fill up nicely. Close and open easily. Perfect size for lip balms. COMMENTS: I love these! I'm just an amateur, making things for family and friends since I end up with a ton of extra product. When I started handing these out, everyone asked when I'm going into business, because they give a homemade product a professional feel. COMMENTS: These are super cute and while they are small you can still fit a label on the front and back. High quality as well. No problems so far. "LOVE LOVE LOVE these little tins"
COMMENTS: Great for lip balms. The size is perfect and it holds more than the traditional tubes. COMMENTS: Very nice tins, look nice and work great! COMMENTS: These bring me back to my childhood when my mom would buy me fruit flavored lip gloss that was in a tin just like these (I don't remember the brand name). These work great, just the right size, and very durable. COMMENTS: Wonderful little tins! Used for lip balms. COMMENTS: Great product. Used for lip balms. COMMENTS: Love this tin. Perfect size for lots of things. Good quality. Will be ordering more. "my favorite for lip balm"
COMMENTS: These containers are perfect for pocketbook or pocket. Brings me back when I was a teenager how our lip balms were packaged. COMMENTS: I love that these tin lids slide and snap close. Perfect for keeping in my purse. I make lip balms with them. COMMENTS: I use the slider tins for my Nail Ointment and Lip Gloss. They are easy to open and are handy to carry. and my customers love them. COMMENTS: These are great for both lip balm and mustache wax. Would love to see ones that hold a half ounce available also. COMMENTS: OMG love it and my customers, and my testers love it. I got great fed back on this one. I will be buying more. You know, I just thought about it, WSP should offer shrink wrap for this products. It would be great to protect products. COMMENTS: I LOVE these little tins. They are like the ones I used growing up. Easy snap on lids that slide are a convenient size. I will be ordering them again. COMMENTS: LOVE LOVE LOVE these for lip balms. I'm going to try making some solid perfume for spring, and these will be perfect for that also!! "love how cute these are"
COMMENTS: Perfect for eye serums. Just the right size and a very unique look. COMMENTS: I ordered one to test with my lip balm. I don't care for it much. It does the job but seems a little flimsy...or cheaply made. Won't continue use. COMMENTS: These are perfect for lip balms and cuticle salves. COMMENTS: These are a great easy to use container, I used it for lip balms and a salves. The have a bit of a timeless feel to them. Something that can be used again and again. I definitely like these a lot. COMMENTS: These are the perfect size for lip balms. COMMENTS: I like these. They are easy to fill, they look nice, and they are easy to label and seal. Great lip gloss containers. COMMENTS: These worked perfect for my lip balms. Easy to fill as the lids slide all the way off. The little girls love them. COMMENTS: Thought these were so cool, I don't know why though!! I guess I'm just weird like that hahaha Not easy or difficult to open, seems to be just right! COMMENTS: Is use these for Cuticle butters and they work great. Easy to fill. Easy to open. COMMENTS: I use these slidey tins to make lip balm. They are a great seller and the unique packaging is a great eye catcher. COMMENTS: Used these for my lip balms. Love them. Easy to pour into, cooled nicely and quickly. Look very professional. COMMENTS: Seals great. Perfect size for a lip balm. ".25 oz. Lip Slide Tin Set-Silver"
COMMENTS: I like the size and the way this tin set looks. It adds a classic look. 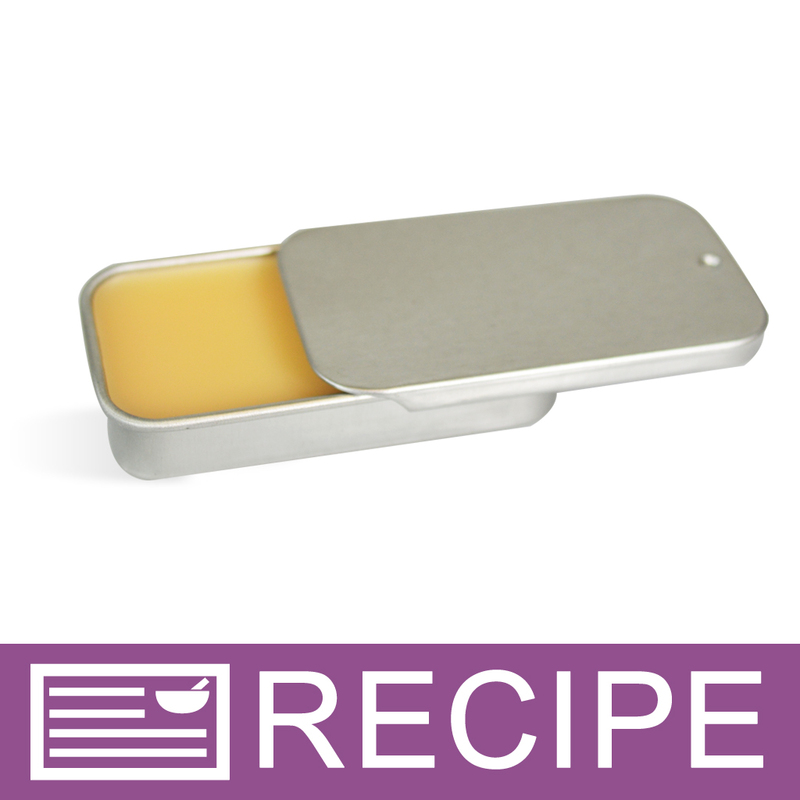 COMMENTS: Excellent for manly lip balms and for homemade salves and creams. COMMENTS: Works great on my lip gloss. And really cute. COMMENTS: I like the idea of the tin. My label is not small enough for packaging, but the product fit well in the tin. The overage of the label acted as a seal to the tin. COMMENTS: Works great for lip balm. COMMENTS: These are great little containers to hold lip balm and solid perfumes in. They are an ideal size. Folks like that they have that retro look of the 70's. They are adorable and slip easily into a purse, make-up bag or pocket. The small waterproof rectangular labels work well on the top. These are especially nice if you are making up party favors for girls or want to offer more product than what comes in the normal .15 oz. lip balm tube. They could even hold small or sample sizes of sports balm in the. COMMENTS: These are very cute when used for lip balms. The tops slide easily, and since they are flat, labling is easy. I also use these as a convenient container for carrying salves that I make. COMMENTS: I get comments all the time about the classiness of these lip balm tins. People love the novelty and like that they are not plastic. COMMENTS: Customers like these, it reminds them of the 1970s. Closes well, easy to fill if you take the tops off completely. COMMENTS: My husband loved these. I made some medicated lip balm, he had some serious chapped lips. He said it fit perfect in his pocket. Great size. COMMENTS: These tins are so cute for lip balm. This is my first time using them. 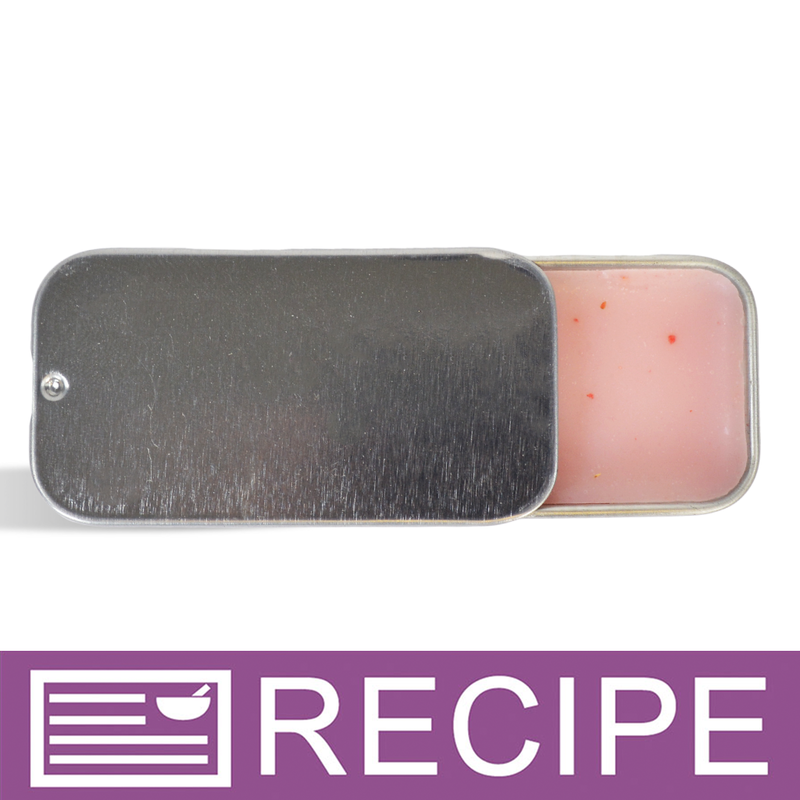 I have been making lip balm for years in the little round tins. People liked them but people love these slide tins. AND they are so easy to label. COMMENTS: Perfect size for my lip gloss. Cover stays shut even in my purse! COMMENTS: I don't use these for lip balms but for my solid perfumes and they are perfect! Since the lid comes off it will be easy to use all of the perfume and not have any left hiding under the lid. They are also very easy to fill and .25 oz will last quite a while too. I will be ordering these again for sure. "Solid Perfume & Lip Balms"
COMMENTS: Not only are these the cuties little things, they are the perfect size. They are easy to fill and label. COMMENTS: Customers love the look of these tins. They make my product stand out from the tubes. They're easy to open once you know how to slide it, and the little internal bump helps it stay closed so that it's not opening up in your bag/pocket. Easy to fill with product. COMMENTS: Tops come off easily to fill and I have not had one problem with them sliding off prematurely. COMMENTS: I almost dreaded using these because of the size. However I melted my lip base, used pipettes to transfer the product in the tin and it was easy-breezy. This are a hit with teens that like something a little "blingy" instead of a traditional lip balm tube. COMMENTS: this was perfect for my lip balms! COMMENTS: These are classy looking and easy to open. Great for tucking in pocket or purse. Customers have really liked them. COMMENTS: Really love this tin! It's super cute, customers love it! It's easy to fill, although I did discover that it's better to take the lid off completely to fill it. It seems to seal tightly. When working with it, open and close it by grasping the side of the lid instead of using your thumb on the top of it because the metal is easy to dent. I highly recommend this tin! COMMENTS: I used these for solid perfumes. They are a nice, small size. Easy to fill. Easily fit in even a small purse or gym bag. Lid snaps closed. I would like to see these in a larger size of maybe .5. I would purchase these again. COMMENTS: Tins work great for lip balm. Easy to fill and slide works smoothly. COMMENTS: Love these little containers… perfect for a cosmetic bag, fanny-pack or even a pocket. "Cute way to sell lip gloss!" COMMENTS: I really like that this is a very attractive way to sell lip gloss in an eye-catching container. Great for gifts. There is also more space for decorative labels. And it is much easier to fill than the tubes. Although it is more expensive than the tubes, I offer both containers for the same price and I have done really well. "Excellent high durable quality "
COMMENTS: We fill these with an herbal balm and they are big sellers. We also fill them with solid perfume and everybody thinks they are great. They make super prizes for kids and moms always tell us how these little tins remind them of their pre-teen days back in the 80's with their slide tin lip balms. These tins are also super for testers of lotions, balms, ointments, and solid perfumes. "Such a cute addition to my line"
COMMENTS: I added these thinking that they had a nice feel about them and when I got them they did not disappoint! Sooooo cute! The lids close and snap shut and the tins themselves sell my Balm. Can you say a great closer to any deal? Throw one of these babies in at the end of a deal for a quick couple bucks or give it away with large purchases. They are so affordable I can do this and thank you for making them available! COMMENTS: Wow! These are great and holds the perfect amount. I remember something very similar growing up. COMMENTS: It has that great nostalgic look. I like being able to slide instead of taking a top off a lip balm container. No issues at all, very happy with this product. "Lip Slide Tin Set - Silve"
COMMENTS: these turned out to be more popular than the regular lip balm sticks. They sell well and are easy to fill. "Perfect For Lips or Hands"
COMMENTS: I love to use these for mini hand salves. Especially during winter months. They are easy to keep in your pockets or purse and have a solid closure. Labels adhere nicely to the metal and look really pretty when decorated. COMMENTS: I love these tins. I use them mainly for my all natural lip balms and they work great. They close and open nicely and are easy to fill and label. COMMENTS: I switched my lip balms from tubes to these tins this year and couldn't be more happy. They have been getting happy reviews. These tins all come shinny and look great. Thank you! COMMENTS: I have used these for years. They are so cute. I put clear address size labels on the top with name and on the bottom with ingredients, then I tie them shut [like a package] with colored rafia. Really looks cute. I sell at craft fairs and give them away with big soap orders. Great product. COMMENTS: I use these for my herbal salves. I also decorate them with decoupage. People love these tins!!! COMMENTS: These lip balm tins are a great addition to my inventory! I had custom stamps made which show the flavor of the balm, and their great sellers! COMMENTS: I only purchased a sample. I have to keep it for myself! Very Cute! COMMENTS: With poured WSB lip balm base and flavors and a little creative coloring additives I can't make these fast enough. COMMENTS: These tins are great. I use them for lip balm. I added cute stickers to the top as another customer suggested and they sold quickly. I've already ordered more. Thanks for the suggestion. "Great Little Lip Balm Tins!" COMMENTS: These are adorable and make a nice finished product! Excellent lids..don't have to fight them to get them on! COMMENTS: I've used tins from another source, and these are much better quality -- the top clicks into place on every tin. Great deal! COMMENTS: I had to get these for nostalgic reasons.... I bought inexpensive gem stickers to decorate them and made 75 just to test them out. I sold out at 2 events, and don't usually sell THAT much lip balm. They are entirely too cute! COMMENTS: I use these for my lip balms, & I've gotten a great response. They're easy to fill, & the top slides easily but also holds well. Great product! "Are these prewashed or should I wash them before filling them? Thanks in advance!" Staff Answer These are not prewashed. We would not not recommend washing because these can rust. You might spray them lightly with 99% rubbing alcohol and be sure to dry well before using. "Can I put little soaps in here or will it rust? " Staff Answer These tins will rust so we would not recommend using them for soap. "Are these tins recyclable? Thanks! " Staff Answer These lip slide tins are not recyclable. "What label size is recommended for the lid of this 0.25 oz Lip Slide Tin Set - Silver?" Staff Answer These tins measure 2" x 1". 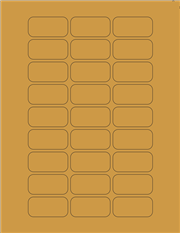 Because of the rounded corners I would recommend a label smaller than 2" x 1". It is usually best to have the product in hand before you order or purchase labels. "What is the best way to disinfect these prior to filling?" Staff Answer You do not want to use water in these as they may rust. We suggest placing in the oven on low heat to sanitize them. "What size shrink band would you recommend for this? Thanks!" "Can I put solid perfume in this tin?" Staff Answer Yes, we use theses tins for lip balm and lotion bars. Your solid perfume bars should be fine. "Any suggestions/advice for creating an adhesive label for these? " Check out Onlinelabels.com. They have a label specifically for these tins. When I used these, I had custom labels printed, the size of address labels, and just trimmed them down. I find rectangle labels with rounded corners look best on this product. There is a small indent on one end of the lid, so you will want to take that into consideration when choosing label placement and when trying to center any images. "What is the best way to fill these?" Staff Answer Good question! After making your lip product, pour it into the lip tubes and let it cool. Once completely cooled, slide the top on. We have a recipe called 'Lip Gloss: Chocolate Mint' that uses these. Feel free to refer to the recipe. I use the droppers here on Wholesale to fill my tins and lip balms. You work slower, but its lots less mess. Silly I know but medical syringe works well to fill lip tubes, pots, and tins. The small sizes similar to the dispensers that come with children's medicine. "Does the top of this tin slide all the way off or is it hinged on somehow?" The lid does slide completely off the tin. It does have a small indent on the end so it kinda makes a snap noise when it's completely closed, but it doesn't have any hinges to keep them together. The lid does come completely off. I found that some of the lids in the batch fit tighter than others. Several customers told me that they didn't want to keep the container in their pocket, as they were afraid the lid would come off. "Are the metal tins rust-proof or rust-resistant (or coated in any way)? I'm concerned that a product that is more water-based may cause rust from the inside."